In this study, the effect of school leadership on student achievement is examined based on the PISA 2015 data in the Turkish context, conducting a multilevel analysis. According to the results of the study, gender, economic, social, cultural status of the family, and grade repetition, school type, and the interaction of school type and grade repetition are directly associated with the students' science achievement, whereas leadership skills of school principals are not related. Several reasons for such an insignificant relationship between leadership skills and student achievement are discussed. The effect of culture on leadership orientations of different countries constitute the center of this discussion. In this regard, for Turkey and countries alike, where the self-protective leadership orientation is highly valued, instructional and professional development leadership skills of principals are recommended, considering schools are the professional learning communities to increase the contribution of principals' leadership skills on student outcomes. Since the beginning of 21st century, remarkable and consistent efforts for raising standards of achievement for all students through school reforms has become a critical issue by national and international policy makers and organizations. While increased emphasis on decentralization of financial management, accountability and autonomy of schools have been discussed as the central concepts providing necessary school system for increasing student achievement, major assumptions of those concepts have culminated in changing profile and skills of school leadership. 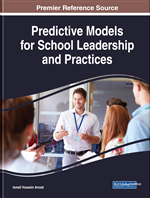 However, examining the effect of school principal’s leadership skills on student achievement is often regarded as a complicated business. The main reason for that is the changing and dynamic role of the school principal in time and space (Mackey et al., 2006). Principals need to put different leadership skills to become respectful change agents regarding the specific school culture and community. In this respect, leadership is often considered as an important factor in the improvement and effectiveness of school and the individuals in it (Northouse, 2015). However, whether leadership skills of a school principal are effective on student achievement or not, is still a challenging question. The challenge of examining the effect of leadership skills of principal on student achievement stems from several reasons. The first reason is the cultural background behind the theories and the conceptualization of leadership. Organizational culture is a subculture of a national culture. Different national cultures can impact the perceived leadership style of subordinates (Testa, 2009). According to Hofstede (1984), differences in cultural dimensions like power distance, individualism, masculinity, uncertainty avoidance, long-term orientation, and indulgence can be associated with work-related outcomes. For example, Jung and Avolio (1999) found that collectivists with a transformational leader generated more ideas, but individualists generated more ideas with a transactional leader. Besides, Kuchinke (1999) in his study comparing the work-related values and leadership styles among the workers of the same company in the United States (US) and Germany found that US workers are more individualistic, but German workers are less masculine. In each country, managers emerged as more individualistic and more focused in the long-term, and engineers were found on the top of the list in terms of masculinity. Cultural values were also associated with the leadership style, but with a small proportion of the variance.